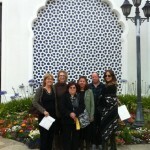 Alice, Marydale, Anet, Dina, Bob, and Sara attend Sunday services at the Self-Realization Fellowship Lake Shrine. We encourage members of our Param Yoga community to join us for events outside of the studio. 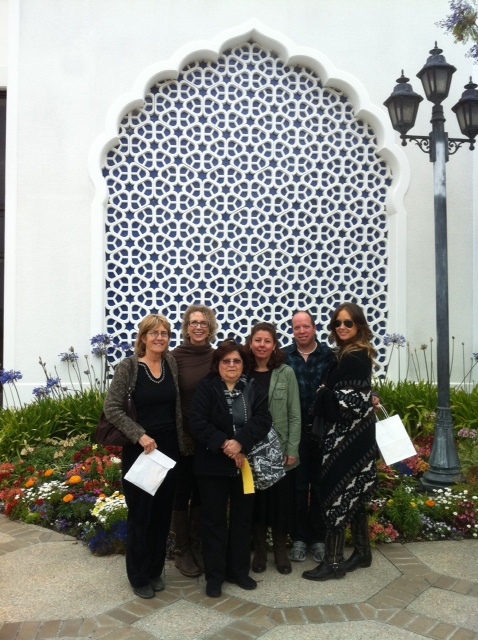 If anyone is interested in attending Sunday services at the Self-Realization Fellowship, meet us at the back door of the studio every Sunday at 8:00 am. If nobody is here by 8:10 am, it means that we will not be going to services that week and you can continue on to the Lake Shrine by yourself or join us on another Sunday. Use the player below to hear today's guided meditation. Click to download mp3 file. We honor Josh, who is a sparkling example of a modern-day yogi, walking the walk and talking the talk. Josh is a Grants Officer at a prestigious university and the proud father of a 12-year-old son. He also has a fierce love of and talent for playing the drums. Josh has always been, and continues to be, a huge support for everything that Param Yoga is creating in Chatsworth, always available to assist, support, promote and attend everything. We bow to you, Josh!